Calling all sea voyagers! 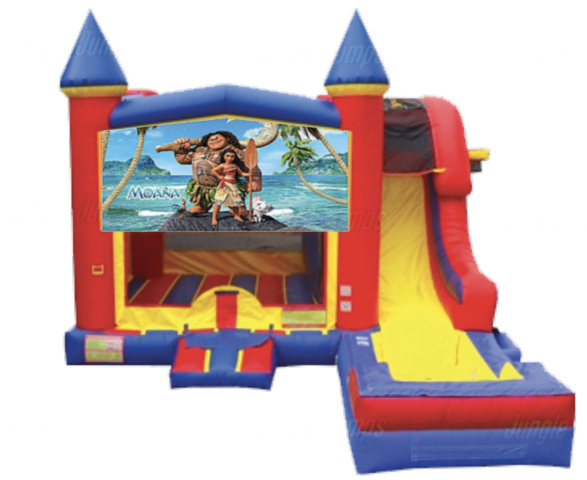 This Moana combo will surely brighten up any kid's day as they bounce and create lasting memories with Moana and Maui. This great combo offers bouncing, shooting hoops, climbing, sliding and includes an additional hoop on the outside of the unit for extra fun! What can I say except you're welcome?